Okay I'm gonna try to make a fan fic that's not bloopy..so I came up with this idea. It's kinda like pokemon..but it's with people with elemental powers that just kinda fight. Not sure what I thought of and how this isn't going to be bloopy but I try .
? : It's 12AM! It's 12AM! I'm 13 now! I can get my elemental powers! This is Mark, he is the main character.
? : Shut up, I'm trying to sleep! This is Chris, his brother. Mark: You were like this when you turned 13 too! Mark went into Chris's room and smirked at him. Chris when 13: It's 12AM! It's 12A..oh..I broke the window..
Mark when 11: I'm trying to sleep! Mark: And I didn't break a window! The mom, Caroline, wakes up. Caroline: What's all this commotion? Mark: I'm 13! I can go get my powers! Caroline: It's 12am..the man is probably asleep..
Mark: I'll go call him. Mark ran to his room and grabbed his phone. Mark: Mr. Power! Mr. Power! Mr. Power: Mark? What are you doing? It's 12am! Mark: I'm 13 now, can I have my powers..pleaaaaseee? Mr. Power: It's 12am Mark! Mr. Power: *yawn* Fine, meet me at my office. Julian, Mark's twin brother woke up. Julian: I'm 13! I can get my powers! Maria, Mark's 12 year old sister woke up. Maria: You guys are lucky. Julian and Mark got dressed quickly and ran out the door. Mark: Wait..we don't know where his office is..we have never walked to somewhere farther than 3 blocks..
Julian: Right, I'll just pull up my GPS. Julian entered the office address. Julian: For me only, I want my powers first. Julian pushed Mark sarcastically and went off. Mark: Ugh, I hate him. Mark started walking around, looking. Quick Disclaimer: This is Fan Characters/Original Characters. Welcome to Flipline's Got Talent, 2018. We have moved to Starlight City for this wonderful 2018 event and we now have access to every single city for auditions. We have 4 totally new judges. Who is this? He's from Whiskview, he grew up in a poor family, his son is Jalen Phalor from Survivor(another fan fic wink wink) he's from Flipline's Got Talent 2015 and transferred to X Factor Kongregate but now he's back in 2018! He now lives in Starlight City, and he's now 56. Hey, he seems like a nice guy but don't get him wrong, he's not afraid to press the buzzer. This is our youngest judge and newest judge. She is only 29 and is from Starlight City. She loves to party, hates dark colors and is extremely friendly. She used to be a full time Manager at the Fluffmart, but has recently moved away and back to her hometown in Starlight City. She currently works part time as a waitress at the Wingeria, though. Just because she's extremely friendly, watch out, and don't get on her bad side. This 38 year old woman you might recognize, she's from Flipline's Got Talent 2011 and from Kongregate's Got Talent 2012-2017 but she's coming back! Her hometown is Tastyville and still proudly lives there for 38 whole years. She loves fashion and dark colors, a very romantic and friendly person but also very strict and critical. Her favorite food is hot dogs, and she is proudly bisexual. She currently is wives with Korina Johnson from Kongregate's Got Talent. Make sure you try to impress her, or else. DAMON KANTER! Come on, everyone knows him, he's been on the show since 2007, left last year to be a Guest Judge at Kongregate's Got Talent and is now back for more, Flipline's Got Talent! He is now 42. He's extremely wealthy but humble, has 4 kids and is happily married for 18 years. His wife is a retired famous singer in "Kia" and he loves spicy and mexican foods. He's humble, but is he nice enough to let you through? You'll find out! Oh how can we forget our reigning host for 6 years, Kyle McDermot! He always wears shades, and I mean always. He's from Starlight City and is now 35 years old and is married to Alaya Telok (now McDermot) for 10 years and adores chicken wings and goes to the Wingeria at least once a week. He has one 4 year old daughter. He used to be a full time singer but he tried his chance at being Flipline's Got Talent's host 6 years ago, and got accepted! He is still a singer but doesn't post music as much as he did. You can submit up to 12 acts. (If group), how did the group get together? This is an idea to stop alts from cheating in tournaments or sign up games. Since they use the alts for voting, how about implementing a system that makes it where you can only vote once per ip. Hi, Mega Charizard X here. I've decided to make a 2nd person fan-fiction that the forum chooses what path they take. and you guys vote..and that changes the story. It's about a 14 year old freshman. Oh. And your goal is to keep yourself alive..if you die then the fanfic's over. But the story'll get into that later. You wake up. You're in class and everyone's staring at you. You think, I wonder how I got here. I was just at-- The teacher interrupts your thoughts. Mr K: Hey, you. You've been asleep all class. Tell me your name for attendance. count to 200 but the 200th post has to contain "this is real i swear"
This is a roleplay that takes place in Quarterwood, a pretty ordinary country. But this is a country. What city does this place mainly take place? Panthoville. 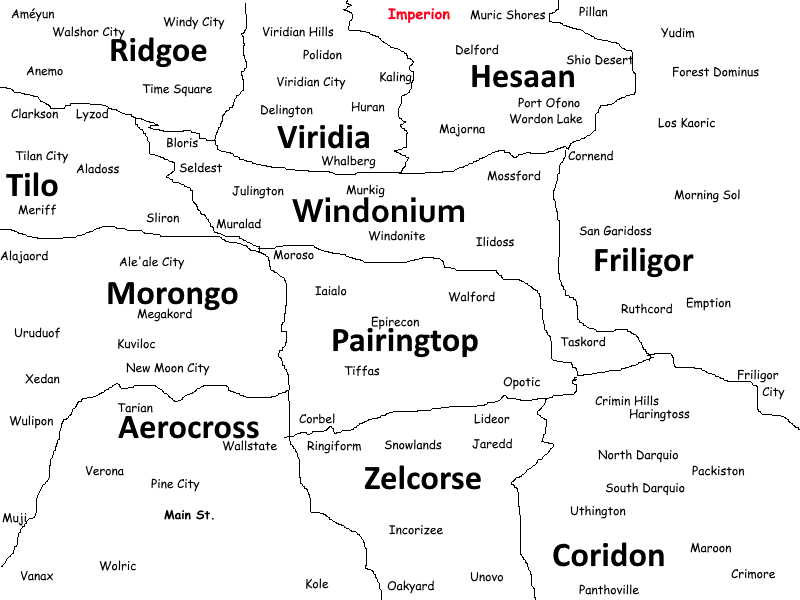 The southest city in Coridon, the abandoned one, mostly known for the law being broken. Inspired by Domino, a youtube video made by Rudy Manusco. To a youtuber named "Rudy Manusco" that made the video "Domino" that inspired this roleplay. You know how in the gamerias you can create your own chef? How about in the games you can create your own..er..explorer(idk what to call them) and you can choose their weapon style, etc. And the more abilities you unlock, the more abilities you can choose from to but on your custom..explorer. I think that they could look good in some styles like a black and white wear. The creator of Sabrina admitted to forgetting to changing the shoes, but we barely get pants and shoes in the first place. The solid pants and shoes are most of the time the best option. You can only say 3-5 lyrics/words. I will start with a song, and you have to say the next 3 lyrics, etc. we do this until the song ends. When the song ends, then the next person restarts with a new song. Song ends at the end of every 5 pages. The song theme will be decided by the song starter. On my cell phone, I can not access the forum. Sorry Cyrus, you can't access the Flipline Forum! Reason: Death threats and continuous innapropiate behavior, permanent ban. This is a permanent ban from the Forum. when I try to access the forum on my phone. Is there a way to fix this? Reason to why this is happening?